And the TBR List Voting is back at Ani's Book Abyss! For the past two months, I'd been happily buried books with a delightful seasonal bookish activity, Halloween Bingo 2016, so knowing my own ability to juggle too many things at the same time, I chose to skip this monthly meme for that time. But now I'm rejoining the fun of this. I had a lot of different themes I wanted to pick for the next few My TBRL months, but what really stood out to me was the fact that the end of the year is drawing near... and I'm running out of options for my Reading Assignment Challenge. And since I actually DID flounder about what books I wanted to read for November's Reading Assignment, I figured that My TBRL was the best way to decide for me what to read. The November Reading Assignment edition of My TBR List includes three of the remaining eight Reading Assignment books on my 2016 list. Since I'm really supposed to read four books each month, I might just end up reading also, the book with the second highest number of votes; I already picked two other books (though those choices are always subject to change as well). Hostage negotiator Claire Michaels never thought she'd be involved in an international crisis. Can she overcome her scars of the past to stop a new al-Qaeda threat? It does! I've been wanting to read this book for a long time. Thank you for voting! My Lady, My Lord...I love that cover!!! I hope you enjoy whichever one wins. It's one of the first things that caught my attention about this book. And someone a couple years ago convinced me to add it to my TBR. Thank you for voting! I voted for My Lady, My Lord as from the blurb it sounds like she enjoys good books! Gotta love a heroine who loves to read! lol Thank you for voting! I'm hoping for good banter; I love when a couple has that kind of chemistry! The review I read about it a couple years ago mentions the banter. Thank you for voting! I voted for Whirlpool, love the sound of it and the Faberge egg angle is kinda neat. Elizabeth Lowell always has some kind of theme to her books, from gold to rubies to pearls to textiles--and you get a little history lesson and some fact sheets to go with each as well. So I'm very curious about this one as I've only read one other book involving a Faberge egg and I think it would be a neat angle as well. Thank you for voting! I went with my lady, my lord. I always tend to enjoy these sorts of books, with fun banter/sparring. Such a hard choice! I actually went with another one than I initially thought I would. I've been wanting to try Elizabeth Lowell's work for ages, but I voted for All Fall Down instead. That one really appeals to me right now. Not that I'm the one reading the book. :-) I hope you enjoy whichever wins! Thank you for voting! 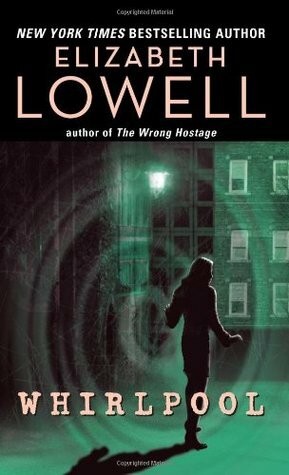 Elizabeth Lowell has always been hit-or-miss with me, but I still enjoy her writing--she's got a humorous charm to her characters that I like a lot, even if sometimes the stories are chaotic. 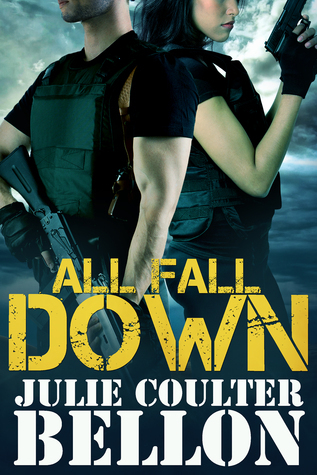 All Fall Down is an interesting Romantic Suspense I've been curious about, and Bellon will be a new author for me.